The event was sponsored by the Holy Rosary Parish. 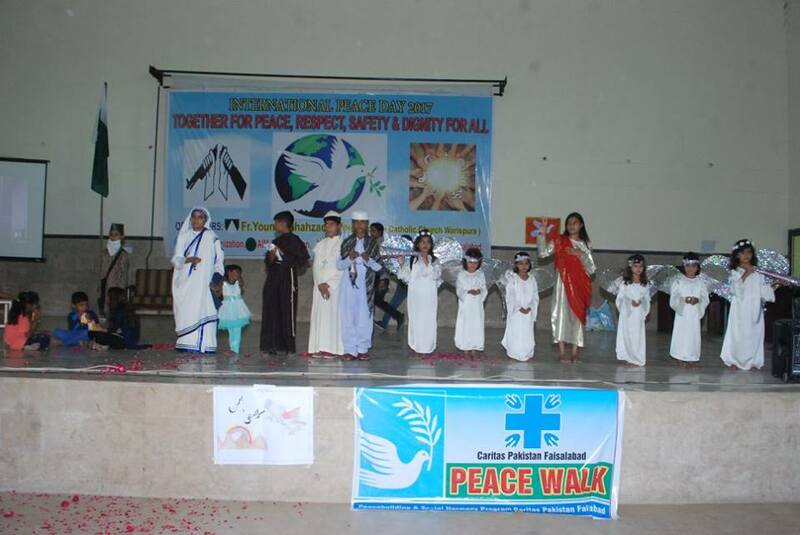 Staging “such shows of peace” will make children “ambassadors of peace,” said Fr Shahzad. A “candle of peace” was lighted. Three groups call on the government to improve the situation of minorities who are often victims of kidnapping, conversions, and forced marriage. 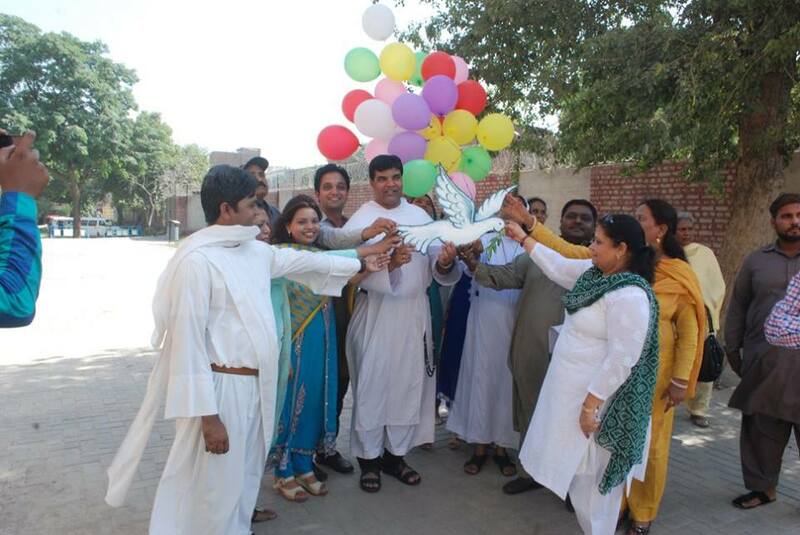 Faisalabad (AsiaNews) – Eleven schools celebrated World Peace yesterday Day in Faisalabad yesterday, thanks to the Holy Rosary Parish, which runs some of the schools, in cooperation with the Star Organization, the Aim Organization, Lok Vihar and Caritas Faisalabad. Students recited poetry as well as performed dances and skits. 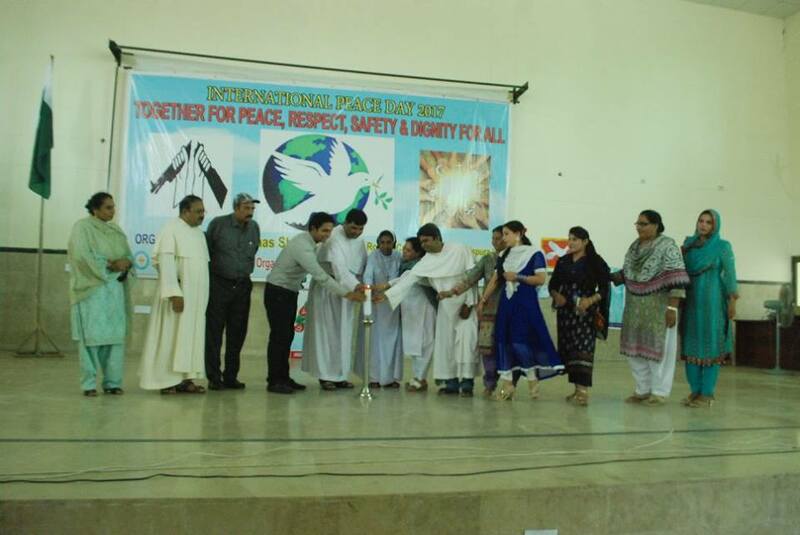 "There is an extreme need to promote peace and values,” Fr Younas Shahzad, parish priest, told AsiaNews. “The best way is through education. I hope that peace reaches everywhere in our beloved country and justice is assured to everyone." The celebration was held at the Pinto Community Hall in the Warispura district. The participating institutions were: St. Dominic Convent High School, St. Catherine Girls High School, Aim School, New Horizon School, Binatul-Saher, Ibn-e-Mariam Primary School, Young Scholars School, Wonder Kids School, St. Dominic Tabdar School, St. Paul Primary School and Caroline House. 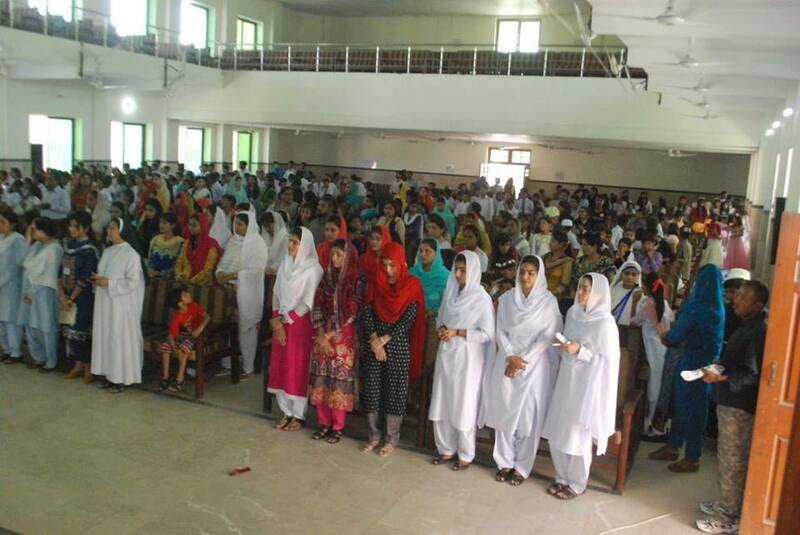 "The participation of students and teachers from 11 schools made me very happy,” said the parish priest. “I am sure that children who staged such shows of peace will become themselves ambassadors of peace and will make our society more harmonious. The way we can promote harmony and coexistence is to be peace connectors and bring people closer." 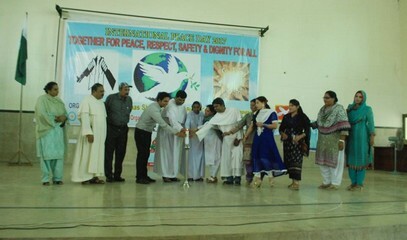 At the end of the event, organisers lighted a "Candle of Peace". Fr Shahzad particularly thanked Channel C-41 for covering the event. 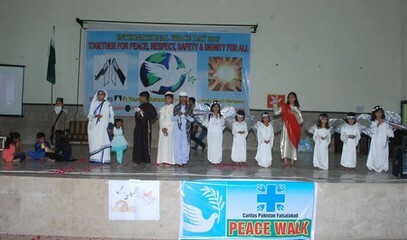 At the same time, other initiatives in favour of peace were undertaken on World Peace Day. 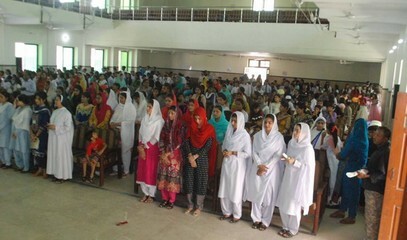 Human Rights Focus Pakistan (HRFP), Global Human Rights Defense (GHRD) and the Coalition for the Rights of Minorities Pakistan (CRMP) organised a conference at the Faisalabad Press Club, followed by a rally. The conference centred on ‘Religious Minorities, Equality and Peace’ and included a series of recommendations to improve the situation of minorities in Pakistan. During the conference, participants highlighted the problems of kidnapping, forced conversions and forced marriages, saying that "the government must deal with them urgently". They also condemned the Hindu Marriage Act 2017 and demanded changes to the "controversial sections of the Criminal Code relating to Blasphemy (Sections 295 B and C) in order to protect the rights of innocent people, families, and communities accused without foundation". They also urged editing textbooks to remove chapters that incite sectarian hatred.